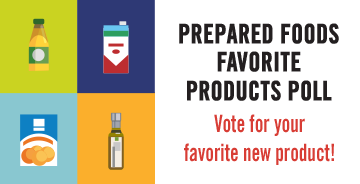 Which is your favorite new food & beverage product introduction from the past 30 days? How much of a role does sustainability play as your food & beverage products go to market? When should packaging enter the new product development process? 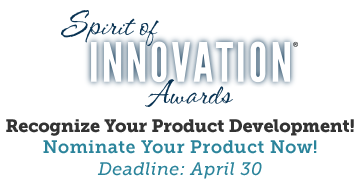 Where do your sources of inspiration for innovative food product ideas primarily come from? As new projects gather steam in this young year, which food trends are under consideration in your prototypes? Are conversations about food textures suddenly at the forefront of your product development meetings? Blue Apron is laying off 6% of its staff. Is the meal kit delivery business model doomed? Industry experts suggest that innovation is the lifeblood of companies. What do you think about innovation? The first half of 2017 is behind us. What is the most important trend so far this year? How should food and beverage companies address Research & Development in the near future? What food ingredients do consumers think they should avoid most? Does the food marketing phrase “on-the-go” still resonate with consumers? Is the trend toward “clean label” putting a strain on traditional food supply chains? What's Your Food Business Outlook for the Year Ahead? Will Continued Consumer Concern Reduce Genetically Modified Food Innovation? Which current trends will gain the most momentum in 2017? Do you believe meal kit delivery services are in a position to create a major impact on traditional supermarkets? How many eating occasions exist in a day? Cage-Free Eggs. What’s Most Important? So far, what is the best 2016 product launch in the BEVERAGE category? Will cricket flour be more widely integrated into mainstream product formulations within the next two years? What will impact the food & beverage industry most in 2016? What is the most significant 2015 beverage introduction so far?